1 1 A man named Ananias, however, with his wife Sapphira, sold a piece of property. 2 He retained for himself, with his wife’s knowledge, some of the purchase price, took the remainder, and put it at the feet of the apostles. 3 But Peter said, “Ananias, why has Satan filled your heart so that you lied to the holy Spirit and retained part of the price of the land? 5 When Ananias heard these words, he fell down and breathed his last, and great fear came upon all who heard of it. 6 The young men came and wrapped him up, then carried him out and buried him. 7 After an interval of about three hours, his wife came in, unaware of what had happened. 10 At once, she fell down at his feet and breathed her last. When the young men entered they found her dead, so they carried her out and buried her beside her husband. 12 2 Many signs and wonders were done among the people at the hands of the apostles. They were all together in Solomon’s portico. 13 None of the others dared to join them, but the people esteemed them. 14 Yet more than ever, believers in the Lord, great numbers of men and women, were added to them. 15 Thus they even carried the sick out into the streets and laid them on cots and mats so that when Peter came by, at least his shadow might fall on one or another of them. 16 A large number of people from the towns in the vicinity of Jerusalem also gathered, bringing the sick and those disturbed by unclean spirits, and they were all cured. 18 laid hands upon the apostles and put them in the public jail. 21 When they heard this, they went to the temple early in the morning and taught. When the high priest and his companions arrived, they convened the Sanhedrin, the full senate of the Israelites, and sent to the jail to have them brought in. 24 When they heard this report, the captain of the temple guard and the chief priests were at a loss about them, as to what this would come to. 26 Then the captain and the court officers went and brought them in, but without force, because they were afraid of being stoned by the people. 29 But Peter and the apostles said in reply, “We must obey God rather than men. 30 4 The God of our ancestors raised Jesus, though you had him killed by hanging him on a tree. 31 God exalted him at his right hand 5 as leader and savior to grant Israel repentance and forgiveness of sins. 33 When they heard this, they became infuriated and wanted to put them to death. 35 and said to them, “Fellow Israelites, be careful what you are about to do to these men. 36 7 Some time ago, Theudas appeared, claiming to be someone important, and about four hundred men joined him, but he was killed, and all those who were loyal to him were disbanded and came to nothing. 37 After him came Judas the Galilean at the time of the census. He also drew people after him, but he too perished and all who were loyal to him were scattered. 38 So now I tell you, have nothing to do with these men, and let them go. For if this endeavor or this activity is of human origin, it will destroy itself. 39 But if it comes from God, you will not be able to destroy them; you may even find yourselves fighting against God.” They were persuaded by him. 40 After recalling the apostles, they had them flogged, ordered them to stop speaking in the name of Jesus, and dismissed them. 41 So they left the presence of the Sanhedrin, rejoicing that they had been found worthy to suffer dishonor for the sake of the name. 42 And all day long, both at the temple and in their homes, they did not stop teaching and proclaiming the Messiah, Jesus. 1 [1-11] The sin of Ananias and Sapphira did not consist in the withholding of part of the money but in their deception of the community. Their deaths are ascribed to a lie to the holy Spirit (⇒ Acts 5:3, 9), i.e., they accepted the honor accorded them by the community for their generosity, but in reality they were not deserving of it. 2 [12-16] This, the third summary portraying the Jerusalem community, underscores the Twelve as its bulwark, especially because of their charismatic power to heal the sick; cf ⇒ Acts 2:42-47; ⇒ 4:32-37. 3 [17-42] A second action against the community is taken by the Sanhedrin in the arrest and trial of the Twelve; cf ⇒ Acts 4:1-3. The motive is the jealousy of the religious authorities over the popularity of the apostles (⇒ Acts 5:17) who are now charged with the defiance of the Sanhedrin’s previous order to them to abandon their prophetic role (⇒ Acts 5:28; cf ⇒ Acts 4:18). In this crisis the apostles are favored by a miraculous release from prison (⇒ Acts 5:18-24). (For similar incidents involving Peter and Paul, see ⇒ Acts 12:6-11; ⇒ 16:25-29.) The real significance of such an event, however, would be manifest only to people of faith, not to unbelievers; since the Sanhedrin already judged the Twelve to be inauthentic prophets, it could disregard reports of their miracles. When the Twelve immediately resumed public teaching, the Sanhedrin determined to invoke upon them the penalty of death (⇒ Acts 5:33) prescribed in ⇒ Deut 13:6-10. Gamaliel’s advice against this course finally prevailed, but it did not save the Twelve from the punishment of scourging (⇒ Acts 5:40) in a last endeavor to shake their conviction of their prophetic mission. 4  Hanging him on a tree: that is, crucifying him (cf also ⇒ Gal 3:13). 5  At his right hand: see the note on ⇒ Acts 2:33. 6  Gamaliel: in ⇒ Acts 22:3, Paul identifies himself as a disciple of this Rabbi Gamaliel I who flourished in Jerusalem between A.D. 25 and 50. 7 [36-37] Gamaliel offers examples of unsuccessful contemporary movements to argue that if God is not the origin of this movement preached by the apostles it will perish by itself. The movement initiated by Theudas actually occurred when C. Cuspius Fadus was governor, A.D. 44-46. 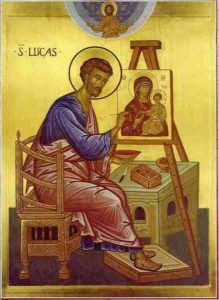 Luke’s placing of Judas the Galilean after Theudas and at the time of the census (see the note on ⇒ Luke 2:1-2) is an indication of the vagueness of his knowledge of these events. 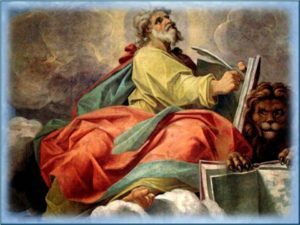 This entry was posted in BIBLE - NEW TESTAMENT - Sacra - Novum Testamentum, ACTS OF THE APOSTLES. Bookmark the permalink.